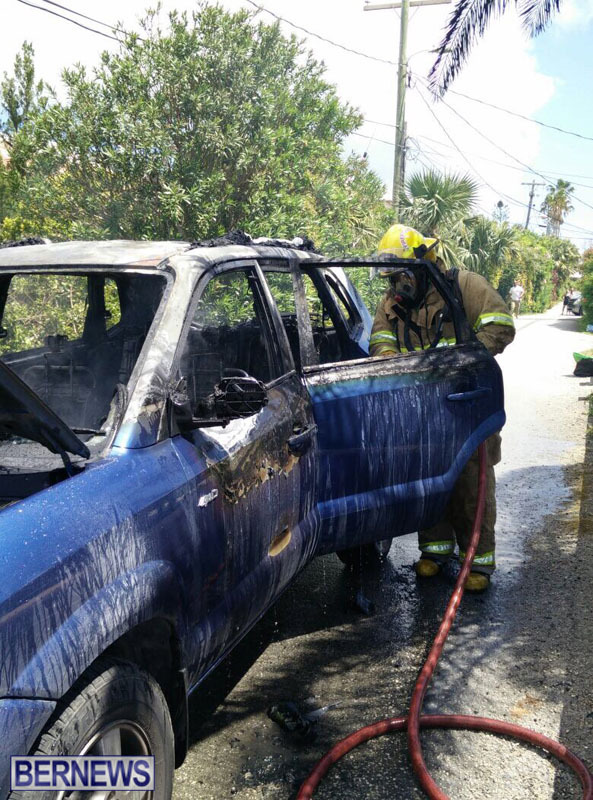 At around 12.20pm today [April 9] the Bermuda Fire and Rescue Service responded to a report of a car on fire at Mission Crescent in Paget. 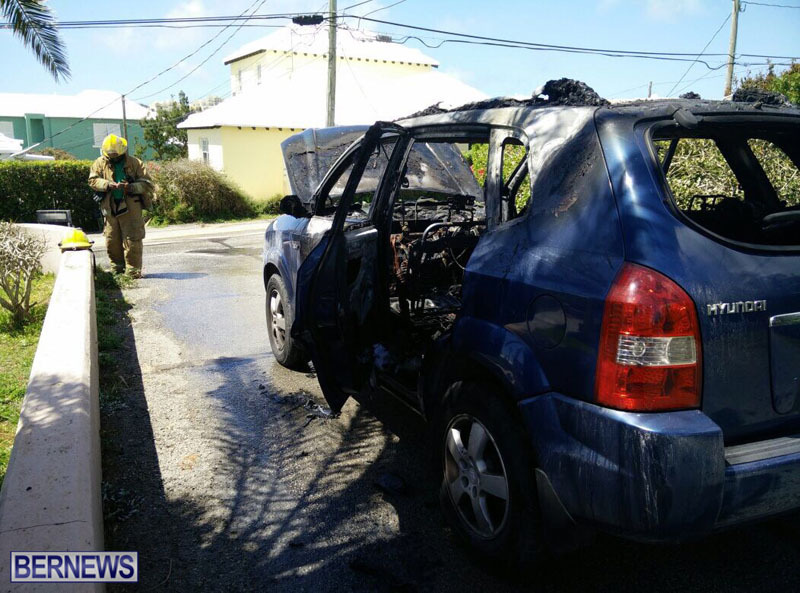 Fire Service spokesperson Sergeant Russann Francis stated “The vehicle was reported to be engulfed in flames producing heavy black smoke. 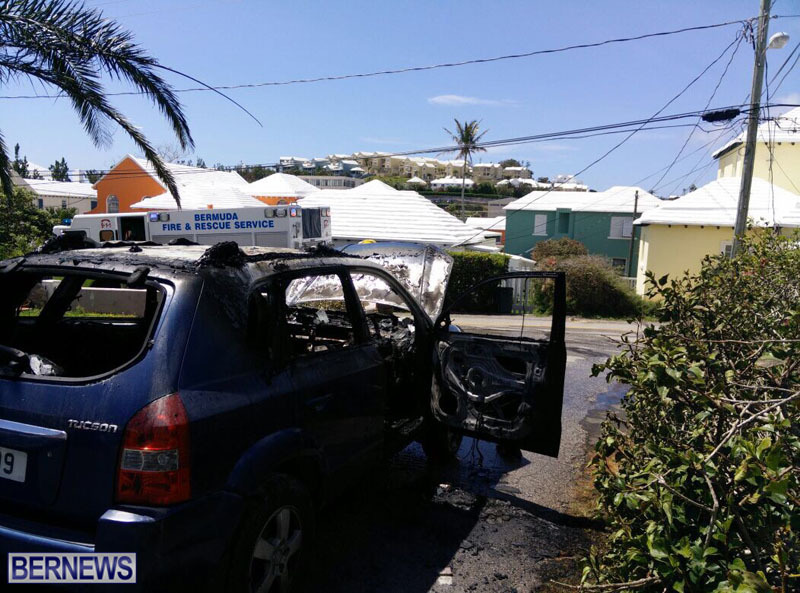 The Fire Service responded to the incident with a team of 4 firefighters who rapidly extinguished the fire. 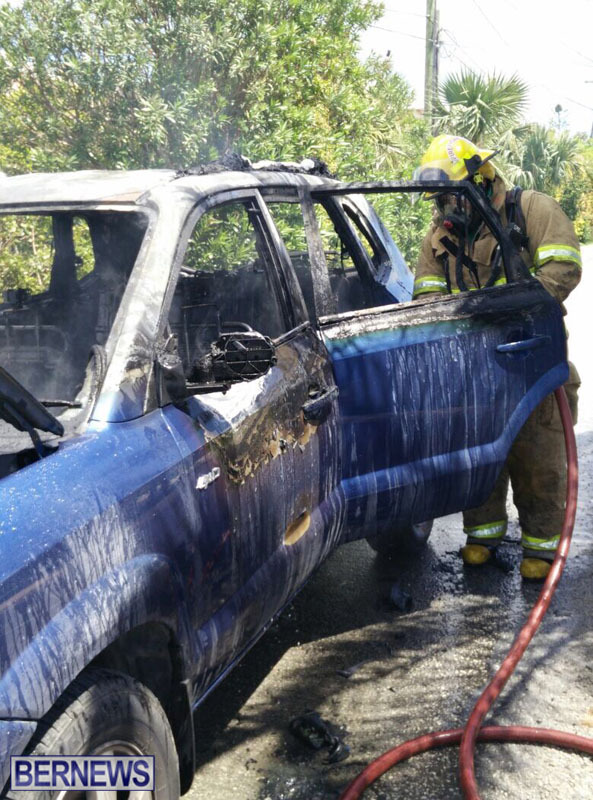 “The driver of the vehicle was driving and suddenly noticed fire inside the passenger compartment. The driver immediately stopped and made their escape from the navy Hyundai. Oh no. Glad they were able to get out. The cause of the fire is “currently” under investigation. can i get them rims? A little Rally car wax and some shoe polish on the tires and the car will be good as new!!! !